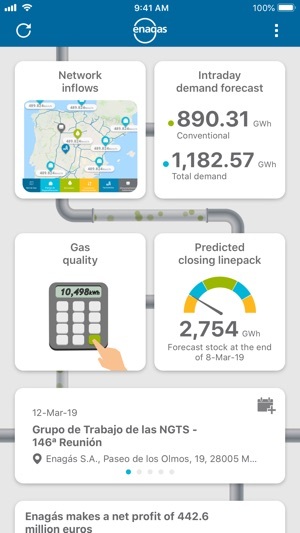 In this APP, you may consult details of the inputs/outputs to the Spanish Gas System, demand forecast, predicted closing linepack in the network. 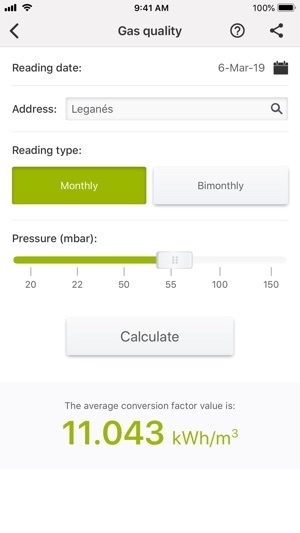 In addition, it shows you the conversion factor applicable on your invoice. 1. 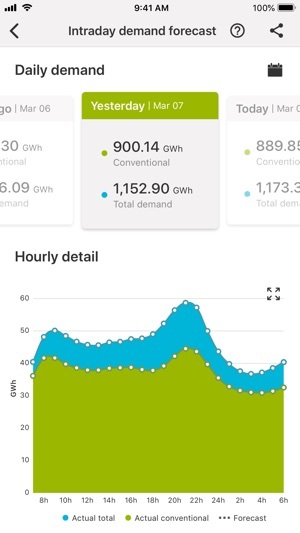 Real-time instantaneous flows at entry points to the Virtual Trading Point (Punto Virtual de Balance, PVB): Production at regasification plants, entry/exit flows at international connections, injection/withdrawal in underground storage, biomethane production and gas fields production. 2. The hourly gas natural demand and its forecast for the next hours. Conventional demand includes the industrial sector, the domestic-commercial sector one. The total demand includes conventional, truck loading and electrical sector. 3. The predicted closing linepack within the Transmission Network at the end of the current gas day wich is updated hourly. 4. The average value of the conversion factor applicable to your invoice. Enagás is Spain’s leading natural gas transmission company and Technical Manager of the Spanish gas system. 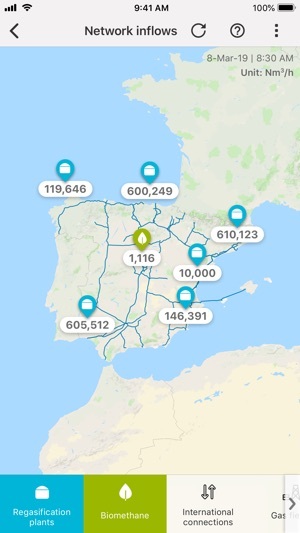 It has around 12,000 Km of gas pipelines, three underground storage facilities in Serrablo (Huesca), Gaviota (Vizcaya) and Yela (Guadalajara) and four regasification plants in Barcelona, Huelva, Cartagena and Gijón. 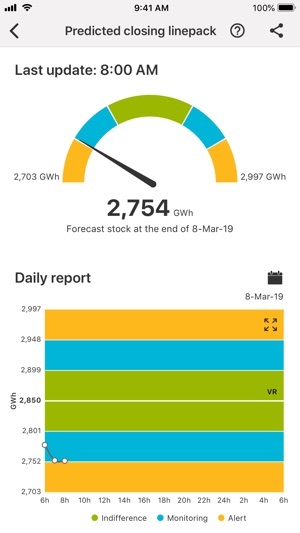 It also owns 50% of the BBG regasification plant in Bilbao and 72.5% of the Sagunto plant.